Hello, everybody!!! Hope you are enjoying your rocking time with your skateboard. Anyway, do you guys know the differences between longboard and shortboard? Most people mess up this 2 things with each other. And most people don’t know which is better for different purposes. So, let me help you to know the appropriate and accurate information about the differences between them so you can consider the best according to your riding style and type. Hope most of you know the answer. But, let me clear the concept and give the appropriate definition of a longboard. Actually, a longboard is one kind of skateboard. Skateboard larger than 31-inch is known as a longboard. Most longboards are 35-60 inch long in size. And contain. Before that, let’s know when longboard invented and people started to riding it. The idea of the longboard came from the surfboard. In 1950, few Hawaiian surfers thought to ride a surfboard on the land. 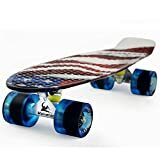 So they made a skateboard by adding wheels under a small surfboard. So, the idea became true and the first longboard rolled on the land. The idea became popular and spread all over the USA within 1970. But still there were no longboard manufacturers on the market. People used to ride on homemade longboard since 1990. In 1990, Todays famous skateboard brand Sector 9 start manufacturing longboard. They also added few modern technology make longboard more rider friendly. Now longboard is one of the favorite skate toys to the people around the world. 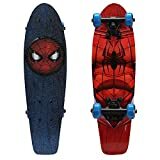 Skateboard which is around 28-32 is count as a shortboard. Shortboard was manufactured in late 1970 by few skateboard companies to make skateboard more lightweight, portable and maneuverable. 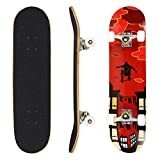 So people can carry their skateboard everywhere easily and spend more time cruising around with turns and tricks. The purposes were very honest. What do you think? But the number of longboard riders are always greater than the shortboard. And most people prefer riding on a longboard than the shortboard. But both of them contain few benefits and drawbacks. So, let me describe you. So let’s know the common differences between longboard and shortboard. Length: It is the main difference between longboard and shortboard. Most longboards are available at 45-60 inches height. On the other side, shortboards are only 28-32 inch long. Weight: Longboard is longer than the shortboard. So, longboards are basically heavier than the shortboards. Flexibility: Longboard has better flexibility than the shortboard. Portability: Shortboard is small size and lightweight where most longboards are in between 35-60 inch height. So shortboard is easy to carry and contain better portability than a longboard. 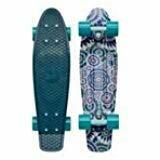 Stability: A longboard is more stable and maneuverable than a longboard because of its large size. Besides, shortboard provides less stability because of its small size. 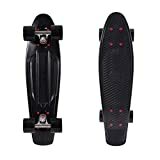 Turning: Shortboard is small in size and most shortboard contains enough flexibility so you can do strict turns rather than a longboard while cruising on the street. Sliding: Longboard is most suitable for sliding than a shortboard. Because you need a little much place than turning and a large size skateboard. So it will not be a better idea if your try to do slide with a shortboard. Even, you can get wheel bite if you try to do the hard slide with a shortboard. Controlling: longboard contains few special features like kingpin or reverse kingpin truck, concave deck etc. So, longboard provides better control than shortboard even in fastest speed. But, few shortboards contain these features too. But they are little expensive than the regular shortboards. Tricks: Actually, both longboard and shortboard are suitable for skateboarding tricks. But, short boards are most suitable for kick flip and manuals rather than a longboard. On the other hand, you can do all kind of tricks with a longboard, but longboards are most suitable for board dancing. Because you need more room on the deck to dancing perfectly and longboard is better for that. But, shortboard isn’t suitable for dancing because of its small size. Speed: Longboard contains bigger wheels and trucks than a shortboard. So, it is faster than a shortboard. 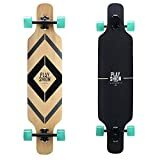 So, if you want to ride with faster speed, then longboard will be a better choice for you. But, shortboard contains less but fair speed so it is easy to control. For this reason, shortboard will be safer for beginner cruisers if they want to do tricks while cruising. 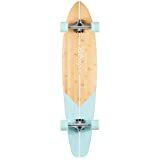 Riding type: Actually, shortboard is suitable for all type of skateboard riding styles like cruising, carving, traveling, freestyle, vert etc. But it is not suitable for longboard riding styles. Besides, you can use a medium size longboard for both skateboarding and longboarding purposes. That means you can use it for all longboard riding methods like downhill, freestyle, freeride etc. 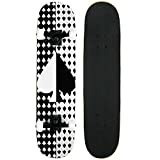 Besides, you can get more fun by using it for all skateboard purposes like cruising, carving, traveling etc. 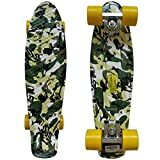 Actually, both longboard and shortboard are suitable for different riding purposes. Now, it totally depends on you that which form of the skateboard is most suitable for you. I’ve just provided the difference between them so you can compare them each other according to your riding type, style, and skill to consider the best.